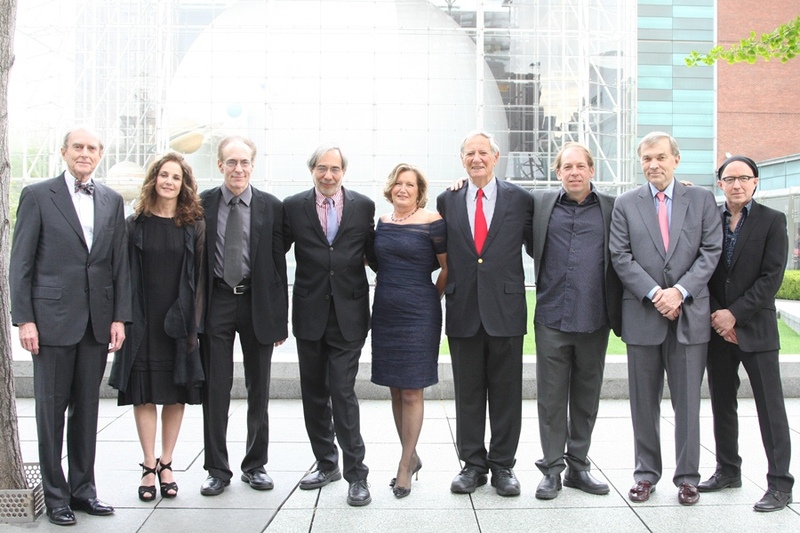 Board Chaiman Ted Rogers, actor Debra Winger, Honoree Robert Woodruff, Founding Artistic Director Jeffrey Horowitz, Gala Co-Chair Monica G-S. Wambold, presenter Robert Brustein, Master of Ceremonies Bill Camp, Gala Co-Chair Terry Christensen, and actor/writer Arliss Howard. Photo by Gerry Goodstein. On May 2, 2011, more than 320 patrons gathered to attend Theatre for a New Audience’s 2011 Spring Gala Celebrating Shakespeare’s Birthday at the Powerhouse of the American Museum of Natural History. The event’s lead sponsor was Deloitte, and its co-sponsor was Loeb & Loeb. The Gala was chaired by Theatre for a New Audience Board Members Monica G-S. Wambold and Henry Christensen III. At the event, Robert Woodruff, one of America’s leading theatre directors, was presented with the Theatre’s Samuel H. Scripps Award for Extraordinary Commitment to Promoting the Power of Language in Classical and Contemporary Theatre. The Scripps Award was presented by Robert Brustein, playwright, director, critic, founder of the American Repertory Theater and Yale Repertory Theatre, and recipient of the 2010 National Medal of the Arts. A short film tribute spanning the extraordinary productions directed by Mr. Woodruff in his 30-year career preceded the award presentation. The Master of Ceremonies was actor Bill Camp, who recently received the Drama Desk nomination for his performance in Dostoevsky’s Notes From Underground, presented by Theatre for a New Audience last fall. The play was adapted by Woodruff and Camp and directed by Woodruff. The Gala raised more than $550,000 in support of the Theatre’s productions and programs, including support for its educational residency programs in New York City’s public schools. More than $100,000 was raised at the evening’s auctions, making them the most successful in the event’s history. Culminating the Live auction, a special reverse auction gave guests the opportunity to make direct gifts in increments of $10,000, $5,000, $2,500, $1,000 and $500 to support of the Theatre’s education programs in the New York Public Schools, as well as next year’s Shakespeare production. Anna Cano Amato, principal of PS110 in Greenpoint, Brooklyn, shared the impact the Theatre’s residencies in the school have had over the course of our long partnership. Nearly $55,000 was raised to support the education programs and Shakespeare production in the coming year.